The film is tentatively titled, Badla, and will be helmed by Sujoy Ghosh. Taapsee Pannu is no doubt an absolutely brilliant actress. She has time and again proved that she can do both, serious and comic roles with equal panache, but she stunned us with her acting abilities in 2016’s film, Pink. 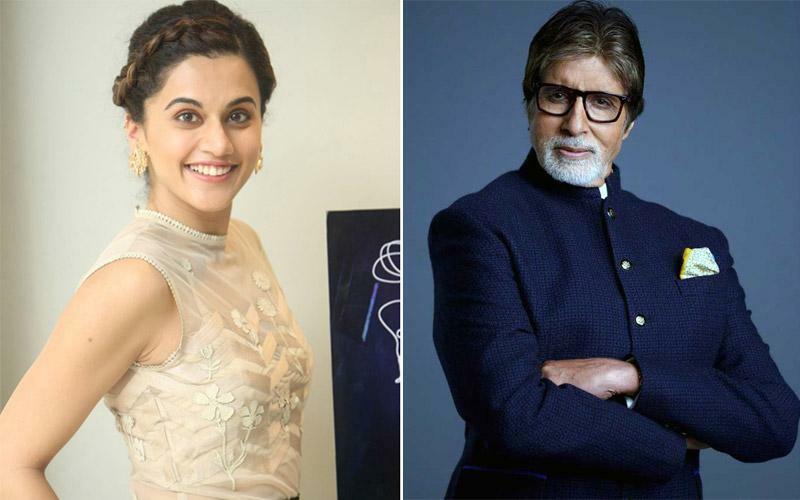 The courtroom drama, Pink, received magnificent reviews and Taapsee along with Amitabh Bachchan got widespread acclaim for their respective performances in the film. And now, it is reported that the two actors will soon share the big screen one more time for an upcoming action thriller. The film is tentatively titled, Badla, and will be directed by Sujoy Ghosh. Meanwhile, Big B is busy with 102 Not Out and Thugs Of Hindostan and, on the other hand, Taapsee is shooting for Anurag Kashyap’s Manmarziyaan. Amitabh Bachchan’s blog clocks 10 iconic years today! Taapsee Pannu: Manmarziyan will be wrapped up in two months!